How Much Does Findster Duo+ Cost? Findster Duo+ is an innovative GPS pet tracker that comes with no monthly fees. It was developed by Findster Technologies, a fast-growing California-based startup launched in 2015. It allows for real-time location and activity tracking, boasts a communication range of up to 3 miles, and does not require cell coverage, so you can keep track of your pet’s whereabouts no matter where you are. Findster Duo+ hit the market in 2017 as an upgraded version of the company’s already well-known Findster Duo tracker and it has been generating quite a lot of attention ever since its launch. 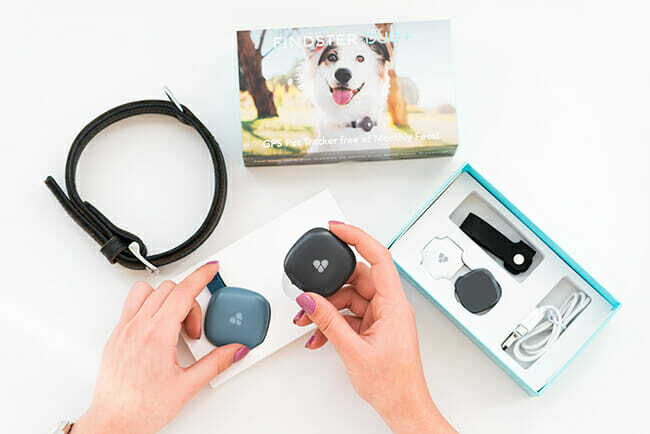 In this Findster Duo+ review, we will explore its key features in greater detail and help you discover whether it is the kind of pet tracker you have been seeking. Findster Duo+ GPS pet tracker comprises 2 devices, that is, 2 modules – the pet module to be attached to your pal’s collar and the guardian module you should keep by your side. The pet module is equipped with GPS that communicates the pet’s location to the guardian module. In turn, the guardian module is connected to your phone via Bluetooth and allows you to view your pet’s activity and location information in the dedicated Findster app. While this pet tracker performs multiple functions, all of which we will describe in the following sections of this Findster Duo+ review, its primary role is to help you easily track your pet in real time. It shows you the exact location of your pal, allows you to follow him or her via Findster app, and sends notifications as soon as your buddy leaves the safe zone, so you can find your pet immediately. Like we said before, Findster Duo+ does not require cell coverage in order to work. It employs Findster Technologies’ proprietary MAZE technology. It is a unique communication protocol with frequency in the sub 1 GHz ISM band, which is in compliance with the FCC and CE directives. The MAZE technology functions independently, without the aid of telephone companies, which is why it works anywhere and everywhere. This independence is what allows this tracker to be 100% fee-free. 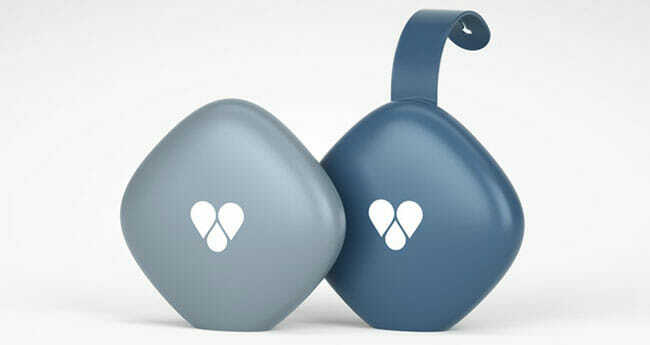 Findster Duo+ pet and guardian modules feature a rather sleek design. They come in the shape of a rounded rhomboid with pleasant shades of blue. The pet module comes with a simple, clasp-like collar strap attachment mechanism while the guardian module can either be attached to your keychain or you can carry it in your pocket. The modules are incredibly lightweight, so both you and your pal can carry them without even noticing they are there. A single module weighs just 1.76 oz., which amounts to 50 grams, the weight of an average kiwifruit. The pet module is designed to fit both small and large dogs and cats. With a height of 2 inches, width of 2.1 inches, and depth of just 0.5 inches, it can easily fit any collar. It is time to discover what you can expect from your Findster Duo+ pet tracker in terms of water and impact resistance, battery life, GPS precision, communication range, and other important technical aspects. According to the manufacturer, Findster Duo+ is tougher than the old Nokia 3310. It is highly durable, so you do not have to worry about it getting damaged easily if your pet gets restless or if you drop your module. Another highly useful feature of this tracker is that it is waterproof. It can withstand immersion of up to 3 feet of depth, that is, 1 meter, so your pet can even swim while wearing the tracker. Findster Duo+ comes with a rechargeable battery. In comparison to its predecessor Findster Duo, Findster Duo+ comes with an extended battery life. Its battery can last for up to 5 days, depending on use. With live tracking on, the battery usually lasts for 12 hours. 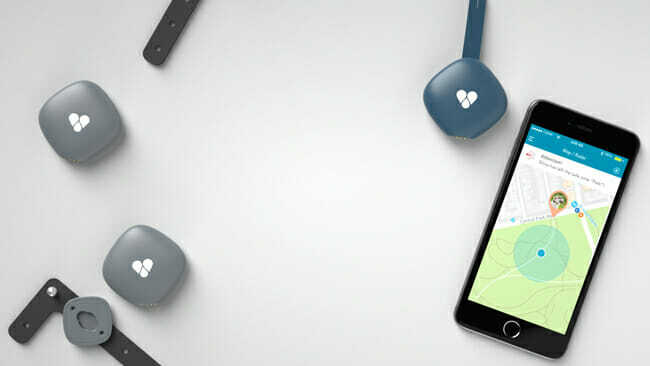 Previously in this Findster Duo+ review, we said that the device has a communication range of up to 3 miles, that is, 4.8 km. However, it is important to note that the communication range can greatly vary depending on surroundings. It can be even greater than 3 miles in open spaces like beaches, national parks, and urban squares, with the record so far being 5 miles (8 km). In urban areas with a lot of tall buildings, the range may significantly decrease, but if the connection drops, the modules will attempt to reconnect until successful. While the guardian and pet modules can communicate within a range of approximately 3 miles, the distance between your smartphone and guardian module should be significantly smaller. You should always keep your guardian module no more than 2 yards away from your smartphone in order to allow for a Bluetooth connection to be established. 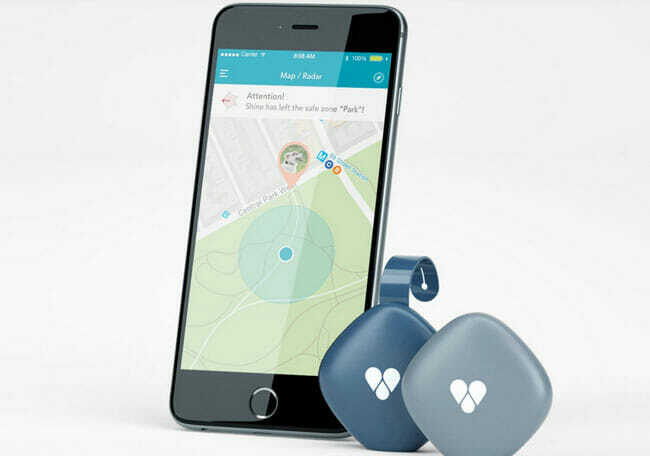 The tracker features high-precision GPS that lets you easily locate your pet. With this GPS, the average error is just about 5 to 10 feet (1.5 to 3 meters). Findster Duo+ pet and guardian modules come equipped with a LED light that allows you to track your pet more easily in the dark and provides important information about the device. The LED light lets you know if the modules are not paired (white light), if they are turning on (green, 3 times blinking) or off (red, 3 times blinking), if the battery level is good (green) or if the battery is low (amber), if the device is charging (amber), if the device is charged (green), if Firmware update process is running (blue), and more. You can even choose an identification color for pet modules, so you know which pet the module belongs to. Findster Duo+ app boasts great compatibility. It can work on virtually any smartphone. It was not designed to be used on tablets, but it can still work well on tablets that meet the minimum requirements, including Bluetooth 4.0+ (Bluetooth LE) and GPS. You can use it on iPhone 5+, iOS 9+, and Android 4.4+. t tells you the distance between you and your pet and shows you the way to your furry friend. It allows you to set desired ranges and sends automatic notifications when your pet is out of range. On top of that, the app allows you to easily keep track of your friend’s activity. It tells you how much time your pet spent walking, the distance he or she walked, measured in miles and paws, how much time your pal spent resting, and how many calories he or she burned. To make tracking more fun, Findster app allows you not only to view your pal’s activity stats but also compare them with stats of other Findster users’ pets with the fun Leaderboards feature. Plus, you and your friend can earn badges by reaching activity milestones and compete against other Findster users, which can be an exciting incentive to spend more time walking and having fun with your pet. Findster app further provides useful reminders, for example, if your pet has not been walked yet. You can keep track of all your pets within the app, without any extra charges. Findster Duo+ is a feature-rich tracker that offers a multitude of handy tools, from true real-time tracking to remotely monitoring your pet’s location and activity with the help of your friends and family. Let us see exactly what kind of helpful features this tracker provides. Unlike many other pet trackers that monitor your pet’s activity and location in real time but provide belated notifications, Findster Duo+ provides true real-time tracking, with notifications arriving instantly and all information available immediately in the Findster app. This is one of the major advantages of this tracker and one that makes it genuinely useful when your pet roams out of sight. Findster Duo+ does not only allow you to monitor your pet’s current location and activity, it also provides a detailed history that allows you to view past walks and locations at any time. Not only useful when your pet is out of sight, Findster Duo+ can help you make sure your pet’s daily needs are met as well. With its activity tracking feature, it allows you to view all key information about your pet’s activity, so you can be sure that he or she has met the daily goals and engaged in enough activity to stay happy and healthy. With the device’s built-in radar, you can always keep track of your distance from your pet. Distance data is constantly refreshed and you can easily locate your pet by following the handy map available in the app. GPS Fences is a particularly handy feature that comes in 3 forms: Virtual Leash, Safe Zone, and Danger Zone. Virtual Leash is a fenced circle centered in your position and it moves as you move. You can set the desired radius, no smaller than 55 yards, and get an automatic notification the moment your pet steps outside the given radius. Safe Zone is stationary and fully customizable and it represents an area within which your pet can freely roam. If your pet goes beyond the given area, you are immediately notified. Just like Safe Zone, Danger Zone is a custom-defined area, but it represents an area where your pet should not go. If your pet enters this area, you receive an automatic notification. Due to Findster Duo+’s interconnectivity, you can share access to your pet’s location and activity with your family and friends. This allows you to track your pets remotely – by having someone close to your pet sharing your pet’s location and activity information with your Findster account. However, to take advantage of this possibility, you need to be connected to the Internet. Thanks to the unique MAZE technology developed by Findster Technologies, Findster Duo+ can work anywhere on the globe, even in the most remote areas. You and your pal can be off-grid, as the device does not require cell coverage or a SIM card. You just need to attach the Findster Duo+ pet module to your pet’s collar and you can take your four-legged friend with you wherever you go, no limits whatsoever. You can purchase a single Findster Duo+ GPS pet tracker for $149.99. If you purchase 2 devices, you pay $199.99. If you purchase 3 pet trackers at once, you pay just $249.99 in total for all 3 devices and save around $200. As stated previously in this Findster Duo+ review, there are no monthly fees; you only pay for the device. Each tracker you purchase includes 1 pet module, 1 guardian module, and 1 charger. All orders come with free worldwide shipping. It is good to know that Findster Duo+ GPS pet tracker comes with a 30-day money-back guarantee and a 1-year warranty. Knowing the biggest strenghts and weaknesses of Findster Duo+ can help you decide if it is the right pet tracker for your furry friend. Here is a quick overview of its pros and cons. Findster Duo+ is a cleverly designed GPS pet tracker that can help you keep an eye on your pet at all times, in real time, and also make sure your pal’s activity needs are met. It is waterproof, shockproof, lightweight, feature-rich, and easy to use. Its communication radius can be even greater than 3 miles in open spaces and it will work anywhere you go, regardless of cellular coverage. It only requires a one-time payment, with no monthly fees, and it comes with a 30-day money-back guarantee and a 1-year warranty. It is an advanced pet tracking solution that promises great protection and freedom for your pet and peace of mind for you and absolutely delivers on the promise. Our ratings are the result of an objective and independent evaluation of Findster Duo+, generating the final rating that reflects the overall quality of the company. Ratings may change as the service changes. Findster Duo+ user rating based on 21 user reviews. The reviews listed below reflect the opinions and experiences of real users and are in no way influenced by the companies offering pet trackers. Before publishing each review, our team checks whether it was submitted by an actual user in an effort to prevent false or spammy reviews. The Findster Duo has a very short range, nowhere near to what they claim. I've found I loose contact with my dog as soon as he goes over a rise or a short way into the woods. I've tested it out in a straight line of site and found it looses contact after 4-500 feet. The battery life is also rather short, maybe 10-12 hours before needing a recharge. The radar feature is inaccurate. My dog went missing the other day and it showed him nearby in my back yard when he wasn't. I would not recommend purchasing this product. Worst costumer service ever. I got a faulty guardian piece and would have loved to just get a replacement but, going through costumer service with this one agent was A NIGHTMARE! Do not purchase this product. They are not good on their word. They want me to ship internationally and just believe that they will refund me. She did not get back to me, I still have no idea where to actually ship the broken parts. When she does speak to me, she is rude and again not giving me the information or the prepaid shipping label. Plus the actual device will only give you an approximation of were your pet is, if that. Wish I could give 0 stars. Great little assistant on the trail to let you know where your dog is at any given moment and his general movement direction. Loki was around ¼ mile away from me at all times and I had no trouble keeping track of his movement in real time. Note that the device does have a 10 second delay, at least it does for me. I did lose connection a couple of times but we are talking about a heavily wooded area and the connection was back in just a couple of seconds every time. I confused this product with something that would allow me to track my dog when I’m away from home. Turns out it only works if your pet is nearby. I gave it as a gift to my little niece and she uses it to track her puppy which made hide & seek a pretty one sided game. It works pretty well as far as I can see it’s just not what I needed. Did you find one that will alert you if you dog has escaped when you're away from home? Unlike many other gimmick devices I’ve tried over the year, this one actually does what it's supposed to do. As a professional breeder, my main focus is to keep my pups safe and away from any harm which is not always possible especially when they hit their exploratory age. The worst thing is when they somehow manage to sneak out during the night and go through the fence into the woods. This little tool is such a lifesaver in those situations since it helps me locate them before they get into any serious trouble. Definitely recommend it to all breeders out there but also all other pet owners. I purchased a findster duo this past fall. It worked great when i got it but now after charging it for 24 hours the battery last 3 hours. Its always disconnection and reconnecting when my dog. Findster Duo+ is excellent in locating my English Setter Loki even when we are in a rural area where I can’t exactly establish eye contact. The device charges pretty quickly and the updates follow the pup closely enough as to actually find him unlike other devices I used in the past. My little troublemaker just can’t help himself when he sees a deer and immediately starts chasing after him. He’s chasing deers and I’m chasing him year round. Findster really helped me reduce the yearly mileage and now I can just let him run around and simply pick him up when he’s done. Findster works perfectly even in a bad cell area like mine. Our Siberian Husky got away from us twice this week while training her on recall (we def need more training) and you can’t believe how difficult she was to find in the past for such a large dog. Luckily, we found her easily with findster even in a wooded area where we couldn’t see her. My wife and I simply walked to the indicated location and there she was, sleeping. The tracker works exactly as advertised and is a lifesaver with difficult to train doggos. I could never get the app to work, thus while the device was being shipped to me I tried to cancel the order. The app wouldn't let me create an account, and thus I could never use the device. Once I received it, I tried to process a refund, and the CS takes as long as possible to respond--as they'd like to keep your money. After a week of no reply, I threatened to sue and they quickly sent me the return paperwork--it's horrific that they have so little respect for others they couldn't acknowledge their issues with their product and process a return nicely. It's now been 13 days since they've had my returned product-they say they'll refund you with 14. We'll see. After a month of back and forth with the company I'm extremely frustrated. It's easily the most dishonest, terrible customer service I've ever received. I would never recommend this product--simply because they were no help to get it to work, and because they have awful customer service. My first order took 5 months to arrive. Since it arrived in winter and I use it for hiking, I did not try it until spring. It died with 10 minutes. Findster did send a replacement within 2 weeks. My unit only has a range of about 300 yard, and that is in open above tree line mountains, with direct line of site. Also, there is a long (10-30 seconds) delay in live tracking and radar. It will show my dog 100 yards ahead of me, when she has already moved 100 yards behind me. Not even close to accurate. Tested with iphone and ipod, with the pet module at 40m in line-of-site of myself. The apps points me off in the wrong direction. No help from tech support. Returned the product. I purchased the Findster Duo+ tracker on August 6th and received it about a week later. This tracker worked fine for about a week then one evening when I attempted to charge both units the Guardian modular failed to charge. On August 20th. I first contacted them about the problem. The messages went on and on and this issue is still not resolved today on September 9th. My last contact was to sent in a form for them to submit a reply and information for me to return the defective unit in tact for a replacement. I have not received my reply to date. I have to assume that they will have to receive my old unit back before they will send me a new one. Based on the delays so far I'm expecting at least another two week delay if I'm lucky. This company has to get their act together or their business will fail. DO NOT purchase this product. I have used Whistle pet trackers for years, and this is a far inferior product and company. The units are shoddy, the customer service is unresponsive, and don't believe their 30 day money back guarantee. I purchased 2 units for my dogs, and within the first day, one would not charge. The batteries last only a few hours. After several requests, I finally got a return authorization from the company. I packaged everything exactly as instructed and shipped it off using the provided return label. Weeks later, I still haven't received a refund. The Findster Duo product is terrible and so is the customer service from this company. Almost lost our dog due to trusting this product, which will never happen again, and when attempting to contact customer service about returning the product they did not respond to emails and there is no phone number available ANYWHERE! DO NOT buy this product, it is a racket. Invest in something better if you care about the safety of your pet. This device did not go over 100 yards for us. Useless. I recently ordered a Findster Duo+ Twin set (one guardian and two pet modules), and have been disappointed with both the company and the product. It took two weeks for the product to arrive and then it was only the Findster Duo+ (one guardian and one pet module). I immediately contacted them about it and they finally replied three days later (all inquiries to this company have taken three days or more for a response). The second pet module was sent out and I received it about a week later. Total order required three weeks to receive.As a pet location tracker, this product has major limitations. One of the main reasons for my purchase was to be alerted if my pets ever got out of the preset “safe zone.” Even that depends on being within the product’s range. I’m in an urban environment so their up-to-three-mile radius is most likely a mile or less for me. If I’m at work (five miles away) and they were to get out of the house somehow and take off, I won’t receive an alert.A second major limitation is the battery life. For location tracking, it must be in Live Tracking mode, which depletes the battery in 12 hours or less. If Live Tracking is turned off, the battery lasts much longer but it functions only as an activity tracker (kind of like a Fitbit). I’m not really all that interested in how many steps my dogs are getting each day, at least not enough to spend $200 to find out!So here are a couple of scenarios – I turn on Live Tracking on their freshly charged modules before leaving for work. During the day the dogs escape somehow – they have breached the Safe Zone boundaries. But I’m out of range so I’m don’t receive an alert. At the end of the day, I arrive home to find them gone. By now, eight or nine of the possible 12 hours of battery life have been used up. Chances are very good that the modules have already died, but if not, it won’t be long, so it’s a race against time to locate them. Chances are also good that the dogs are already out of range anyway (which could be just a few blocks from home). It boils down to, IF the batteries last and IF the dogs are still within a half-mile or so of home, it should work well enough to its job. A second scenario is similar except with Live Tracking turned off (to save on battery life). Even within range, if they go outside the Safe Zone, alerts won't be issued. Okay, so again, I arrive home at the end of the day to find they've escaped somehow. Without Live Tracking on, I can't track them! Suppose, just suppose, they're only a block over from home, out of sight but still well within range . . . Too bad, it's too late to turn Live Tracking on now! To switch modes, the guardian and pet modules must be with *two yards* of each other. Yes, TWO YARDS! Sure, the batteries are going to last for several days, but a lot of good they'll do me! Basically, the Findster Duo+ would be best for going out on walks or hikes with your pet . . . If the battery is fresh and Live Tracking is turned on, and then either the pet is off-leash or it slips its collar, and before you know it, it's taken off out of sight, this product would be ideal, especially since its GPS location delay is only a few seconds compared to at least three minutes for other brands. Immediate, real-time tracking, before the battery runs down and before the pet has had a chance to get too far. I may be mistaken but I can’t imagine this is what most people in the market for pet trackers want them for . . . I am in the process of returning my Findster and am already using a different product – the Whistle 3. (It arrived three days after I ordered it rather than three weeks!) I charged up the trackers and now, four days later, both are still at more than 80%. The product itself was cheaper than the Findster but will be more expensive in the long run because it does require a monthly subscription fee. However, for my peace of mind, it's worth it. Probably the best tracker I’ve used so far, with one not so tiny fault – battery drains fast in crowded places. They say that this version features extended battery life, but they should definitely keep on working on it. Other than that, its precise, reliable, and the app is excellent, so nothing else to complain about. I bought it because I wanted to make sure my little girl was safe, but now I love the activity tracker even more! I like that the tracker doesn’t bother her at all and I definitely feel calmer now, knowing that she’s in the backyard and not finding her way into the neighbor’s garden. We found 0 verified Findster Duo+ discounts for April, 2019. There are no Findster Duo+ coupons or discounts right now. 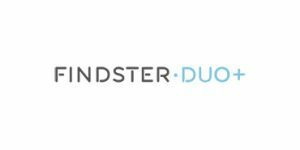 If you like Findster Duo+ but aren’t sure whether they are truly the ideal choice for you, you may want to take a look at our comparisons below to discover if one of their competitors is more suitable for you. PetTrackerReviews is dedicated to providing comprehensive assistance to pet guardians in search of the best pet trackers for their furry friends. We regularly update our postings to reflect the latest developments in the pet tracker industry, and offer fair and unbiased treatment to every pet tracking solution we review.